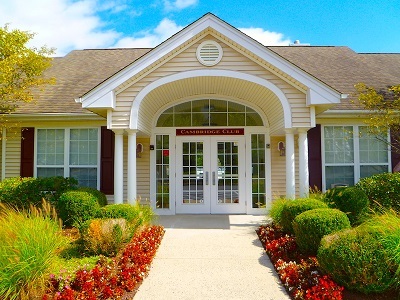 Kensington Woods is 120-unit condominium complex conveniently located on the west side of Danbury. The complex’s amenities include a spacious clubhouse which is used for community meetings and parties, a gymnasium, an outdoor pool and a play area for children. Kensington Woods prides itself on fostering close community relationships and our residents are a wonderful mix of young families and couples, singles and empty- nesters. We are also a pet-friendly complex! Kensington Woods is minutes from I-84, superb shopping, dining and entertainment – yet is located just enough “off the beaten path” for a good degree of privacy. We are also close to golf courses and a myriad of public parks and recreational areas. We are an association who, within the governing Rules & Regulations and By-Laws of Kensington Woods, seek to maintain and enhance the quality of life in our development and protect the value of each homeowner’s investment. We work to maintain common areas, provide services and amenities to the community and to fairly mediate any issues/disputes. To that end, we strive to preserve and improve the property and facilities within our budget and financial resources. In addition, our goal is to build and preserve the association’s reserve fund for future large capital expenditures to avoid/minimize any additional financial burden on homeowners. We seek to encourage a strong sense of community and respect for the diversity of our residents.